I was updating my guide and decided to check if anything else besides the fire island chain has been changed with the update a couple of days ago. They've replaced the entire south western corner (25% of the map) and it appears to me that Scavenger's Causeway has been altered as well. 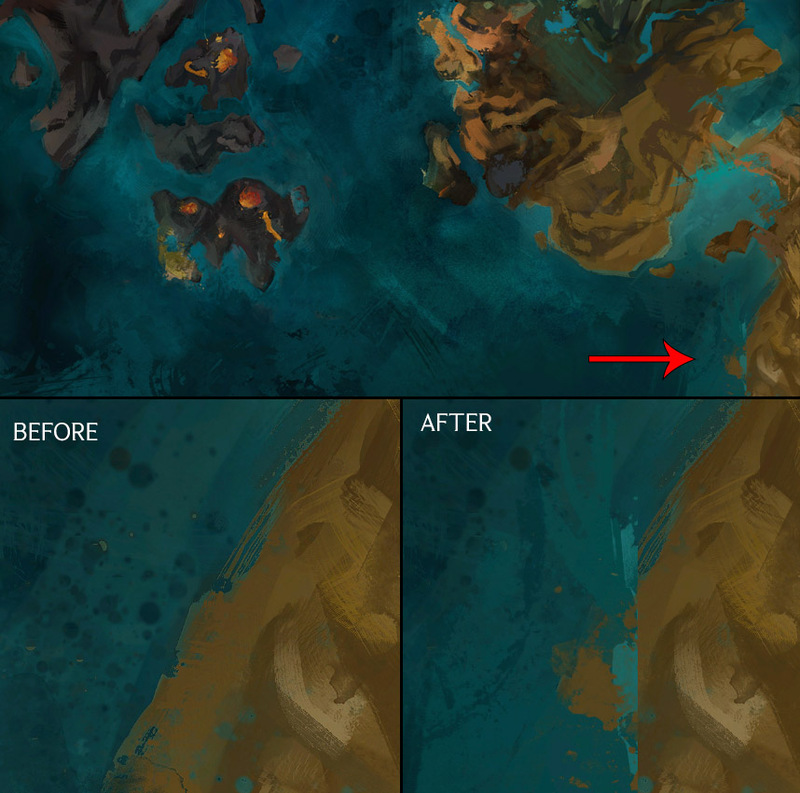 Now you may notice that there's a vertical line running straight through the updated map art and that's exactly where they've stopped updating the tiles.